I hemmed and hawed on this particular Friday Forever Favorite because it's controversial, even to me. There are a couple of reasons for this, which I will get into, but I decided that since I inevitably reach for it every time I paint my nails and always repurchase it once it goops up and is unusable (CONTROVERSY! ), it's still a favorite. One might say that this is a love/hate kind of favorite that isn't quite a healthy relationship. I wish I could quit you? Controversial. Moving on. 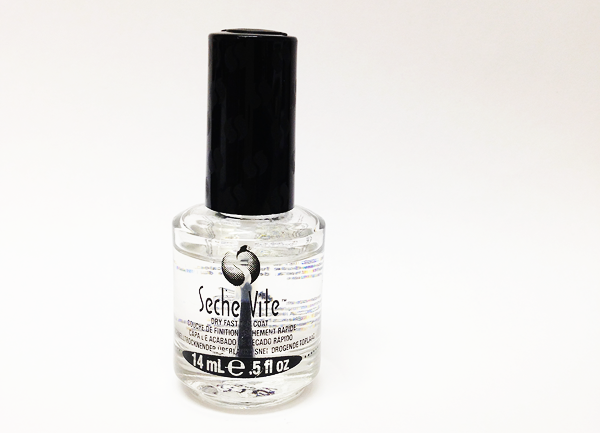 Seche Vite is one of those cult favorites in the beauty community that seems to really divide people. Most people, I think, either love it or love/hate it like me, but there are some people who are staunchly and determinedly anti. And I get that. 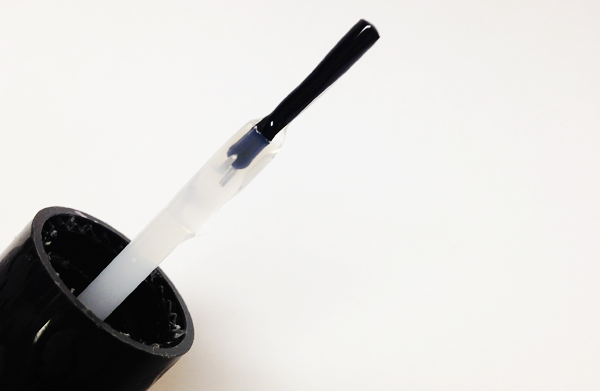 You're not supposed to use this while you're pregnant because... I don't know... Your baby could be born with a time head? (We're instabesties if you get that reference. If not, it's all good. We can still hang.) Anyway. Chemicals. Birth Defects. I feel like things that warn you not to use them while you're with child are generally things that you maybe shouldn't use even if your womb is vacant. Still. I use this because I've found nothing that works quite as well. And I'm too old to give myself birth defects, so. This is getting weird. Apologies. I want to talk about the pro's that keep me coming back to this product and then we can talk about the cons. 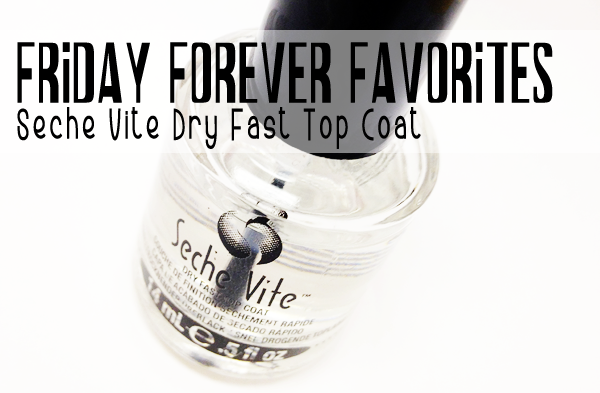 The biggest and baddest pro for this top coat is the speed with which it dries. Before I found this I was notorious for destroying my nails every time due to my impatience with sitting still and not touching things. This, however, allows me to get up and do light duty within a few minutes of applying and heavy duty within an hour for sure. For me, this is huge win. The second thing is that you can apply it to wet polish and it isn't going to jack everything up. Now, there is one problem with doing this, which I'm going to get into a little later, but you can do it. Again, impatience wins out. The final big win for me is the finish. I feel like this, better than anything else in my collection, gives me that glossy, lacquered gel looking finish that I love so much. It also keeps my polish from chipping better than any other top coat that I've tried, though there's an issue with that which I'll touch on below as well. Cons. It's weird that I'm going to have a whole section of cons for a Forever Favorite, but it can't be said that I didn't warn of the controversy. The first con is that this top coat shrinks. The severity of the shrinkage seems to be directly related to how wet the polish you applied this over was, with it shrinking more the wetter the polish was. Ultimately, I don't mind this overmuch for two reasons. The first is that it really just looks like tip wear, which isn't a massive problem for me. And the second is that it's easy enough to just file down those tips of my nails for a freshly clean finish once the polish has completely cured (about 24 hours after polishing.) The second con is that this can peel. It does really depend on the polish that you put it over, some are more prone to peeling than others, but generally with cream or jelly polishes they will peel right up after a couple of days under this top coat. Not cute, friends. However, I haven't had any problem with peeling when using this with a shimmer or glitter polish. So there you go. A forever favorite with some significant flaws. Still, I love it and will probably keep using it until I either end up on the road to being someone's mother (which is terrifying) or until something else blows this out of the water. Not gonna lie, I am kinda hoping for the latter.